Helloo! I can't believe it's a Saturday again, it's gone so fast! I hope its not just me who feels like that... It probably doesn't help I've worked five out of the six days since Monday. However, I have a very exciting end to the week. If you're involved in the UK indie scene then hopefully you'll know the amazing Lea from Leas Nails is launching her new brand Sparklea Nail Polish! I was honoured to be asked to swatch her first collection which is a homage to Lea's favourite thing and that is of course, Harry Potter! 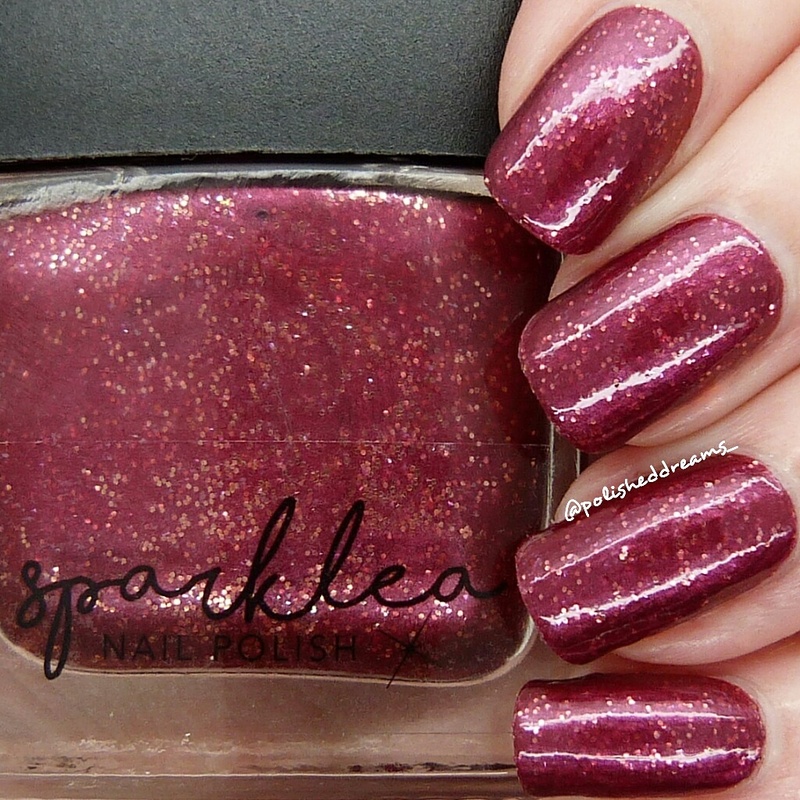 First up is the beautiful and bold Gryffindor, a shimmery red with gold glitter. I had high hopes for Leas's polishes as her Charming Tale ones were amazing and these definitely didn't disappoint. The application was smooth and easy, even with the glitter in. Shown here is two coats and topcoat. 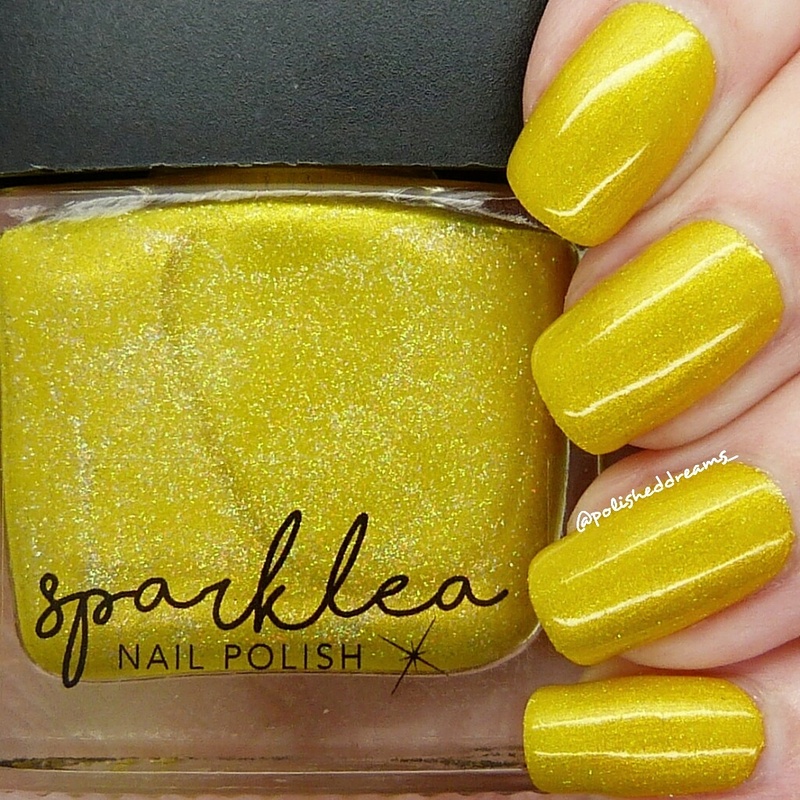 This stunningly bright yellow is of course Hufflepuff, the house of the badger, which also happens to be Lea's house. I know yellow's like this aren't always everyone's taste but it actually got my boyfriends approval so that's impressive! I for one do really love it, I just think it's such a perfect representation. 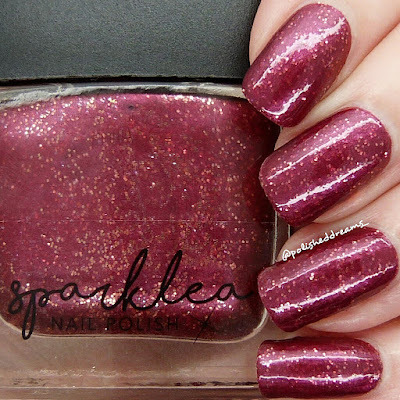 Yet again another beautiful formula and swatch shows two coats and topcoat. Third of the houses is Ravenclaw which, according to Pottermore when it first came out, is my house! 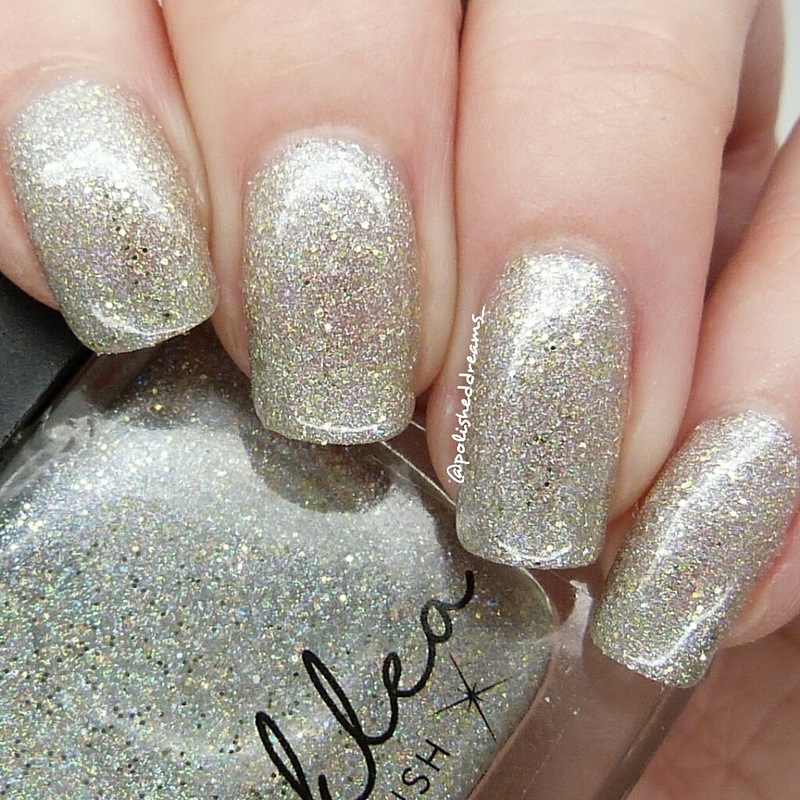 This is another lovely shimmery polish with flecks of silver holo glitter that make it that little bit more special. Unsurprisingly another one with a fab application. Pictured here is two coats with topcoat. Last but certainly not least from the four houses is Slytherin. This is a gorgeous green holo (obviously) and is probably my favourite of the collection. 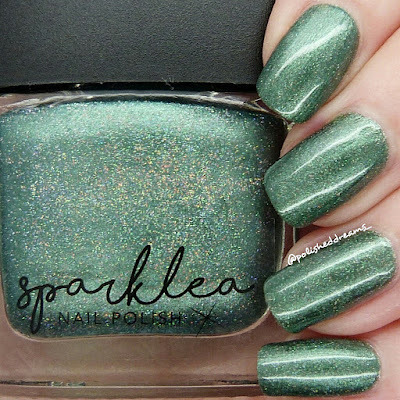 I know a few people that really despise green *cough* Lou *cough* but I absolutely love it and Lea has created a winner here! Shown is two coats with topcoat. 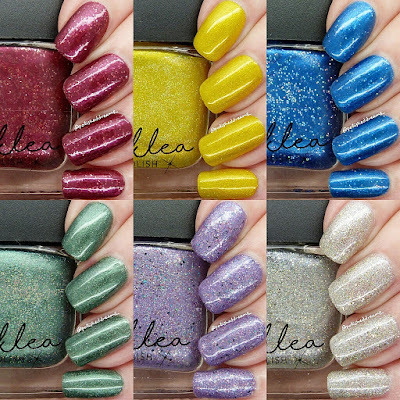 Now, there's two more polishes in the collection and the first is Floo Powder. This is a purple with holo, flakie and blue, black, gold and purple glitter pieces. 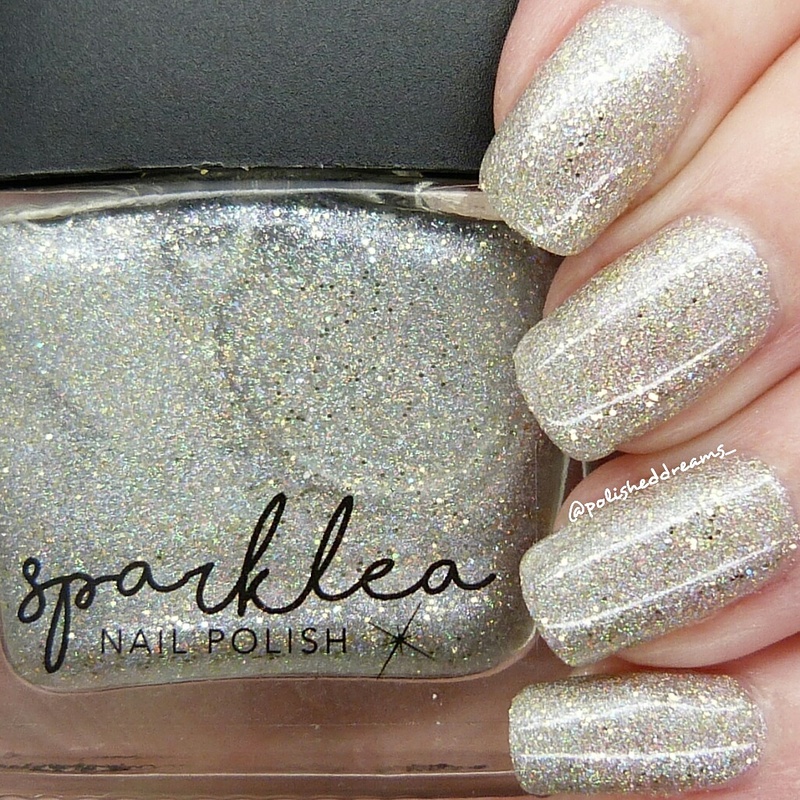 Very sparkly and very pretty! Despite all the glitter, this was actually still so easy to apply. I knew Lea was good but I was still impressed! 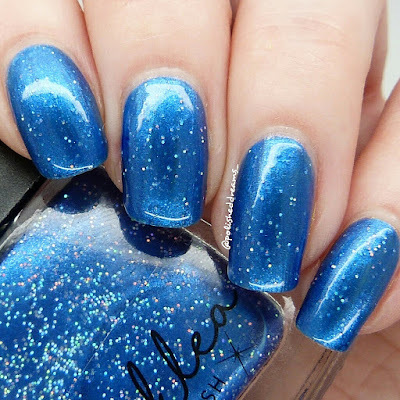 Pictured is two coats with topcoat. The final polish in the collection is Mirror of Erised which has flakes, gold glitter and scattered holo in a clear base. Because of the clear base this means you can either sponge it on to get all the glitter, use three coats like I did (which really didn't bother me to be honest, it seemed to dry pretty quick!) or you can use it as a topper. Pictured is three coats and topcoat. Well I think it's fair to say Lea is definitely coming back with a bang! I am totally in love with this collection and so so happy she's returning as I'm sure I've said lots on my Instagram already. 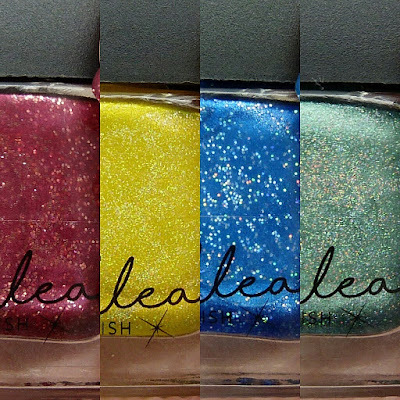 Sparklea Nail Polish will be launching Tuesday 31st January so get it on you calendars people! 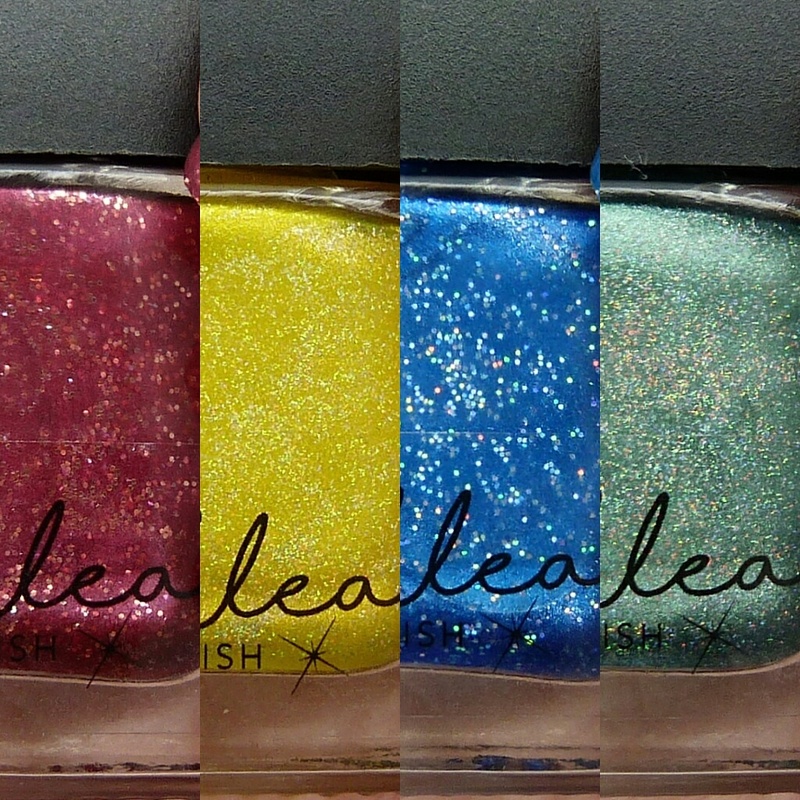 Thank you again to Lea for asking me to swatch for you, I will always be grateful that you have trusted me with this. Always. It's definitely one to get excited about! Thank you very much.